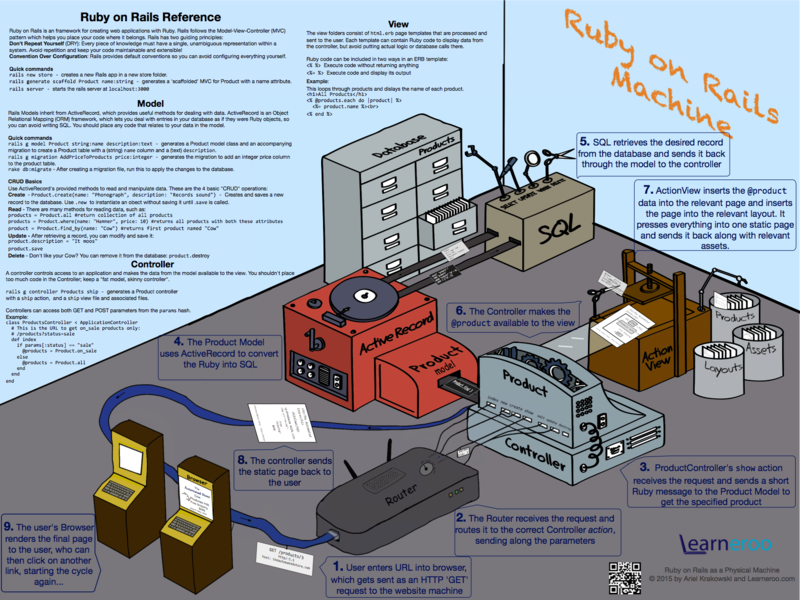 Below is a visual chart of Ruby on Rails, with reference info. Visit TheAutomatedStore for a larger version. Go to the Ruby on Rails Overview for an overview of Ruby on Rails with cartoons and coding exercises!